In the hopes of having a surge in YA fantasy rather than dystopian, I checked out Shadow and Bone from the library. The book hit the New York Times Bestsellers list, I waited a week and still no Shadow and Bone . I appeased myself by reading Feast of Crows and Name of the Wind , but when I finally received Shadow and Bone , I smiled and read the novel. 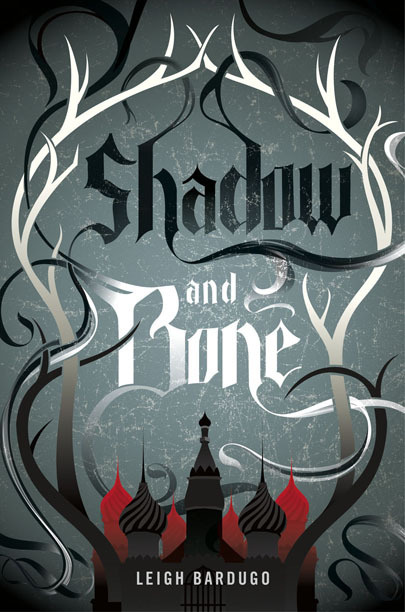 Shadow and Bone is a fantasy set in a Russian inspired country called Rakva. It features the Grisha (magicians) who are able to manipulate matter with a form of magic called “small science”. One girl, Alina Starkov, serves in the military. Previously, she had been tested for the ability to do small science but failed. However, when her regiment enters The Shadow Fold, an area of land with monsters and surrounded by countries ready to war with Rakva, she saves the regiment with small science. Afterwards, the Grisha take her to the court where the Darkling, an ancient being, lives. The small science which Alina and the Magicians can do is quite imaginative, and I have no complaints about the world building. I’m sure Russian enthusiasts can pick apart certain aspects of Shadow and Bone , but I myself have no qualms. My knowledge of Russian culture is limited to Dostoyevsky and Tolstoy novels. What I do have an issue with is the middle of the novel where Alina stays in the court. Here, the story dragged. Alina’s fixation on beauty, partly because of her insecurity, verged on annoyance for me. While Alina constantly complains about her lack of prettiness, she is able to attract two guys in the course of this novel. The prose is also mundane, but functions well enough to carry the story. The fantasy tropes are evident in this story. There is an orphan with a power to save the world, a mystical object to heighten the orphan’s power, and an evil villain. Nonetheless, the author utilized the tropes well. I can laud this novel more then I can complain. The enigmatic figure of the Darkling impressed me. He really is the true star of this novel. Still, he turns into a caricature in the end. I disliked Mal at first, partly because he was a player, but he grew on me. Alina herself had to be the weakest character as she never took stood up for herself. She has to run away from the court at the advice from another person. 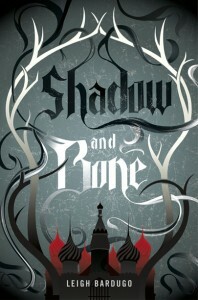 Overall, I liked Shadow and Bone ; I give it four stars: it is good, but not quite great. Days after reading, it has not all stuck in my brain, but I consider it a fun read. And please, book industry, give us some more good YA fantasy!